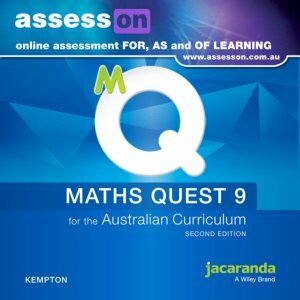 assessON Maths Quest 9 for the Australian Curriculum 2E Student Edition (Online Purchase) is an innovative online tool that provides additional assessment resources for your mathematics course and enables online assessments and automatic feedback. • 8 NAPLAN assessments under the Achievement section. • Students can easily complete homework and assessment tasks online or create their own for extra revision or test practice. • Obtain worked solutions and receive instant feedback. • View easy-to-follow reports to monitor their progress and identify strengths and weaknesses.